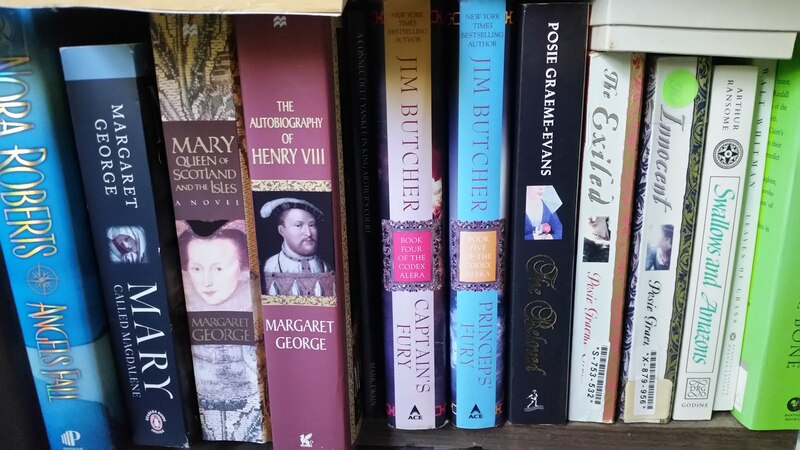 NOTE: A copy of this book was provided by the author and publisher in exchange for an honest review. I have read several of Holly Robinson's books over the last few years. I started with The Wishing Hill (Review Link) the story of three women whose lives are linked in an unusual yet unbreakable way. That was followed by Beach Plum Island (review link ) a story of three sisters whose lives are linked and who are just beginning to understand the meaning of the word "family". Recently I had the privilege of reading a third book by Holly, Haven Lake, published April 2015 by NAL, $15.00 US. I am pleased to say that I think this is Holly's best work yet. 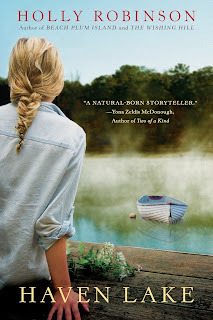 Like all of Holly's books that I have read, Haven Lake is a story about people, the connections that they make, and what actually constitutes a family. In this case, we are introduced to Sydney Bishop, a women who left home at the age of sixteen after a pair of tragic deaths tore her family apart, and her mother, Hannah Bishop, a sheep farmer who still lives at the family farm where Sydney grew up. Sydney is currently a child psychologist working with troubled students and engaged to marry Gary, a top notch surgeon with a teenage son. The story unfolds as Sydney tries to forge a bond with Dylan, Gary's son, and steer clear of her mother and their strained relationship. As I stated in my other reviews of her books, Holly Robinson's strengths are the characters that she develops in her stories, and the actual flow of the stories themselves. In that respect, this book is no different. The main characters, Sydney, Hannah, and Dylan are all amazingly complex characters with a lot of depth and many facets in their personalities. In fact, even the minor characters, Sydney's fiancee Gary, her grandmother, Hannah's friend and neighbor, Liz, and Dylan's crush are all complex and interesting in their own right. In fact, there is not a single character in this book that did not do something surprising at one point or another. The fact that the characters in the story were unpredictable at times only made them seem more real and allowed me to connect with them all the more. As for the story itself, Haven Lake is once again filled with plenty of emotion...love, loss, betrayal, and enough twists and turns to make the story a page turner. There were, however, two big differences that set this book apart and made it, for me, the best effort from Holly Robinson yet. First were the male characters in this book. I felt that the male characters in this book were more developed and played a bigger role in the flow of the story. I was especially happy with the character of Dylan, as he is the first male character that has been used as the stories focus among the Holly Robinson books that I have read, and he was an excellent one at that. The second reason that this book resonated with me more than some of the others has to do with the last quarter of the book, and the ultimate ending. There were so many things revealed about the characters in this section of the book that made for a fascinating read. In addition, the ending of this book was so realistic. One thing that I really appreciate, is authors who do not succumb to the urge to always give books an ending where everything works out perfectly. Don't get me wrong, I love happy endings, but I also appreciate realistic endings where you see that the characters still have decisions to make and journeys to go through. In this respect, I found the ending to this story very satisfying. The next Holly Robinson book on my list to read is Chance Harbor, which I highly anticipating. Over the course of time as I have been reading Holly's books, I have become a true fan of her stories and look forward to much more from her in the future.